Around 70% of Japan is mountainous, with 21 peaks over 3000m in height, including the highest and most iconic mountain, Mt. Fuji (3776m). You don’t have to be a serious mountaineer to enjoy splendid alpine vistas however, and the following places all offer some of the best views that anyone can enjoy. Tucked away in Nagano Prefecture in the heart of the North Alps, Kamikochi is a small mountain resort village and one of the premier outdoor spots in Japan. 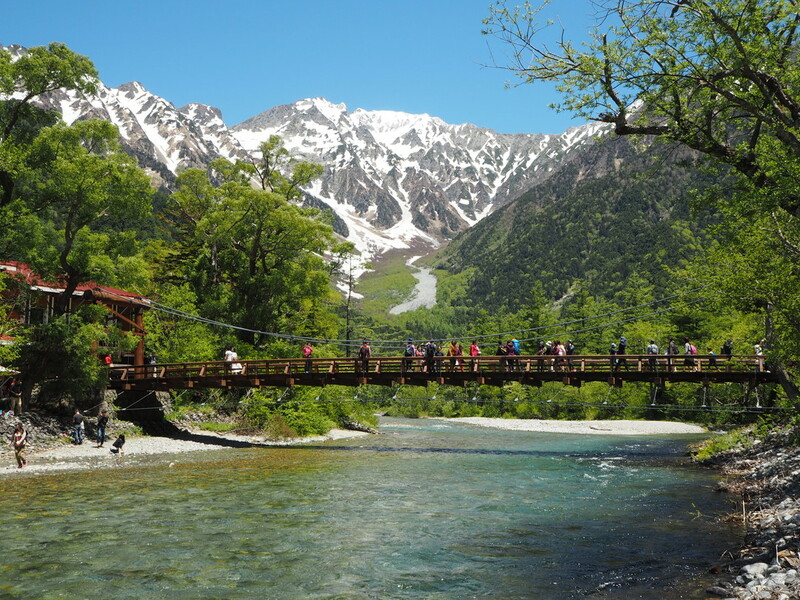 Sitting in the beautiful Azusa-gawa river valley, Kamikochi is centred around the famous Kappa-bashi bridge, from where visitors can marvel at the towering Mt. Hotaka looming overhead, its summit ridge a jumble of impossibly steep and rocky crags, snow covered until mid-summer. 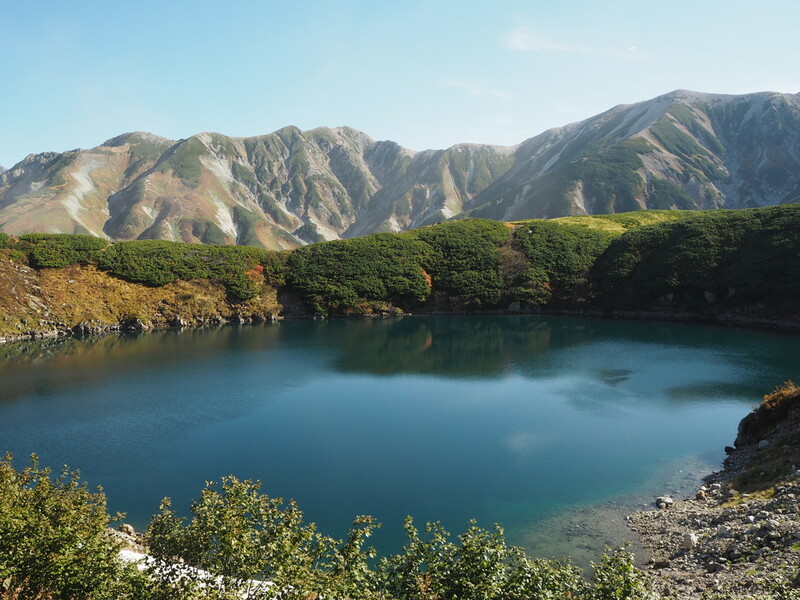 The village serves as a base for hikers, but there are easy day walks to Myojin or Taisho Ponds for stunning mountain reflections. There are a number of luxurious hotels and ryokan (some with their own hot springs) in Kamikochi, and with easy access from Matsumoto and Takayama, it is one of the best places to experience Japan’s alpine landscape. 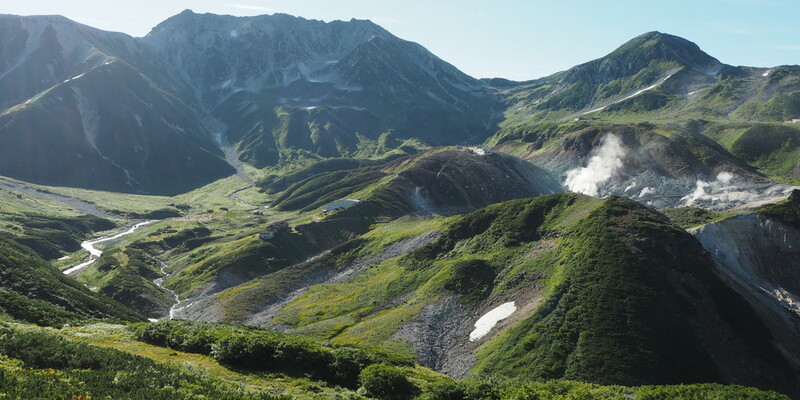 The Tateyama Kurobe Alpine Route is a popular tourist route which traverses across the high mountains of the North Japan Alps. 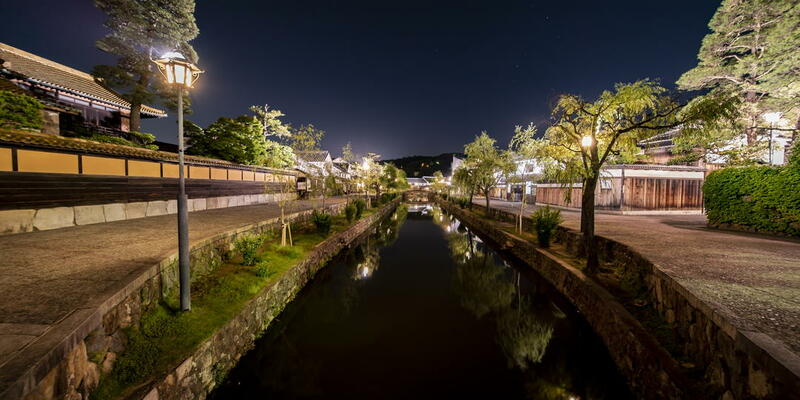 The route comprises of an assortment of cable cars, buses, ropeways and train lines, stretching for 90km and connecting the city of Toyama in the west with Shinano-Omachi in the east. The highest point on the route is Murodo at 2450m, a bustling mountain hub sitting directly beneath the impressive Mt. Tateyama (3015m). Visitors can enjoy the wonderful alpine landscape, with steaming volcanic vents, bubbling hot springs and snow patches which last late into the year. 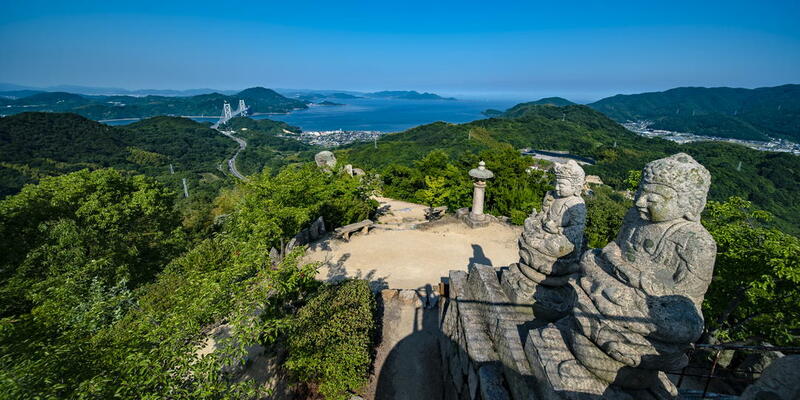 From the bus terminal it is possible to hike up to the summit shrine at Oyama (allow 4 hours return), or you can simply enjoy the stunning scenery and alpine flowers by walking along the many gentle paths which weave around the plateau. Mt. 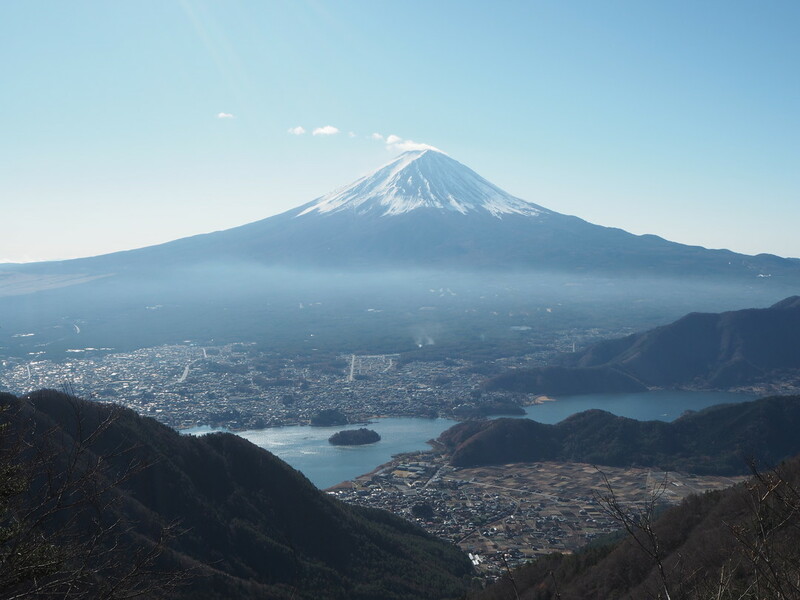 Fuji is the most famous mountain in Japan and every year thousands of people climb it during the short climbing season from July to early September. However it is arguably a better mountain to view from afar, when its almost perfect conical form can be fully appreciated. 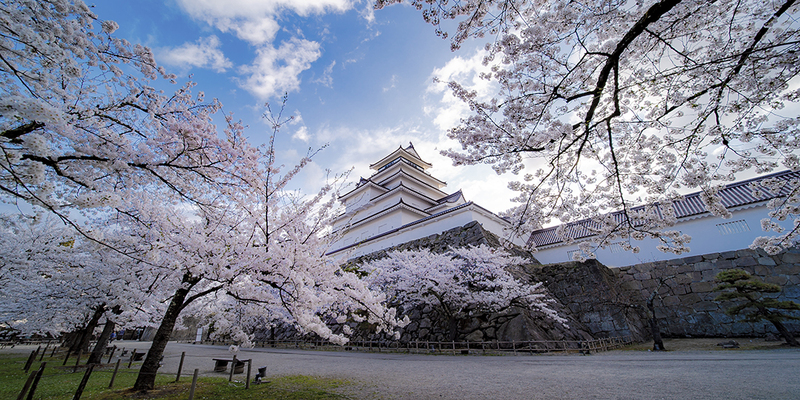 There are a number of spots to view the iconic peak, including from Hakone to the southeast and from the Chureito Pagoda overlooking Fujiyoshida City. Kawaguchiko is a popular tourist town to the north of Mt. Fuji, with great views of the mountain from the northern shore of its lake. A line of small peaks just north of the town, including Mt. 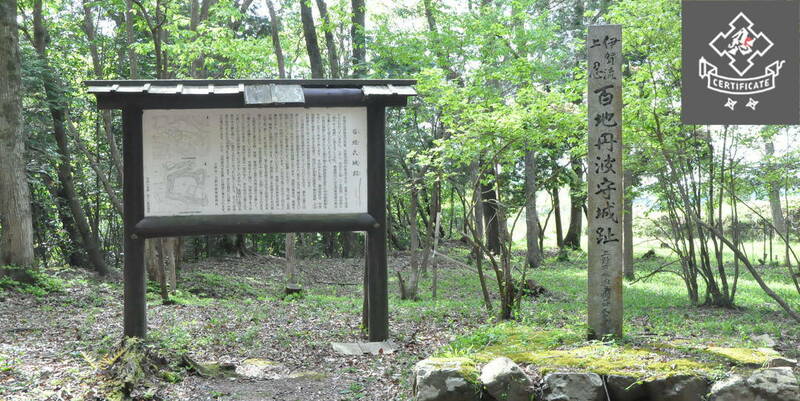 Mitsutoge, offer great hiking and even more spectacular views. Crisp and clear early winter mornings are the best times to catch a glimpse of Mt. Fuji. Hokkaido is Japan’s northernmost island and its last great wilderness. Close to the centre of the island is Daisetsuzan National Park, a magnificent and untouched mountainous area home to brown bears, alpine flowers and Hokkaido’s highest point, Mt. Asahidake (2290m). 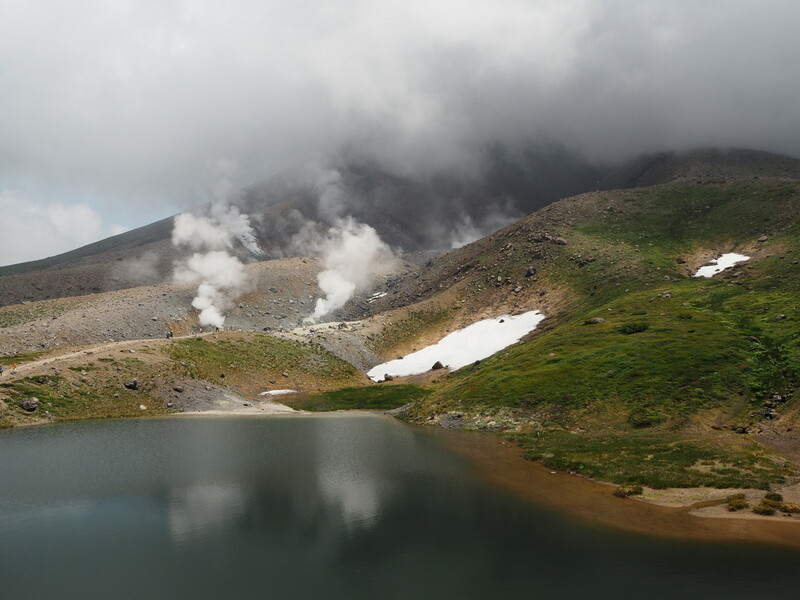 A ropeway carries people up from the small hot spring resort of Asahidake Onsen, from where it is possible to explore the alpine tundra landscape, with ponds and sulfurous vents hinting at the region’s volcanic origins. Located in balmy Kyushu, the southernmost of Japan’s four main islands, the Kuju mountains are part of the Aso-Kuju National Park, and the area offers some of the best hiking and mountain landscapes in this part of Japan. 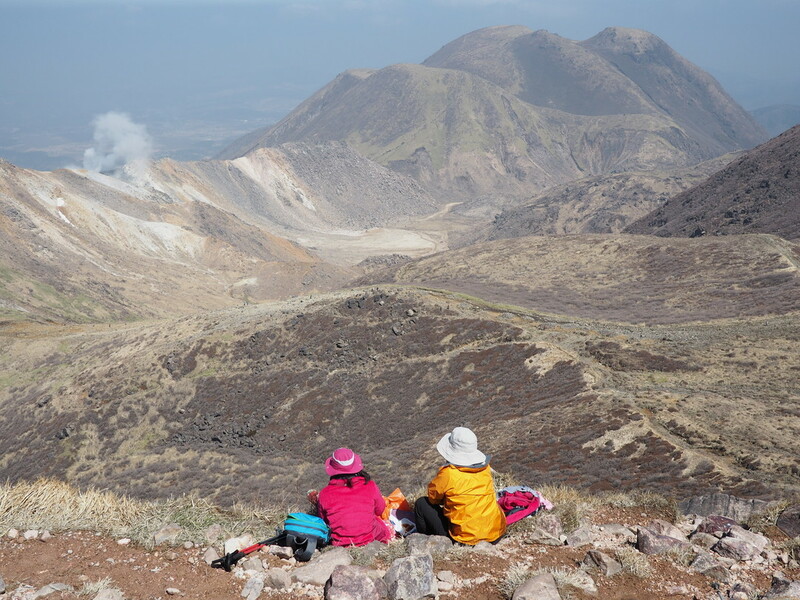 Rising to a height of 1791m, Nakadake is the highest peak in Kyushu and the whole mountain range is volcanic in nature, full of fantastic hiking opportunities and splendid views far and wide. A number of walkways around the Chojabaru Visitor Centre allow for shorter, gentle walks, and Kuju is one of the best places in Kyushu for seeing autumn colours from late October.